Vincent Balfour-Browne was born in Dumfries and studied at Oxford. 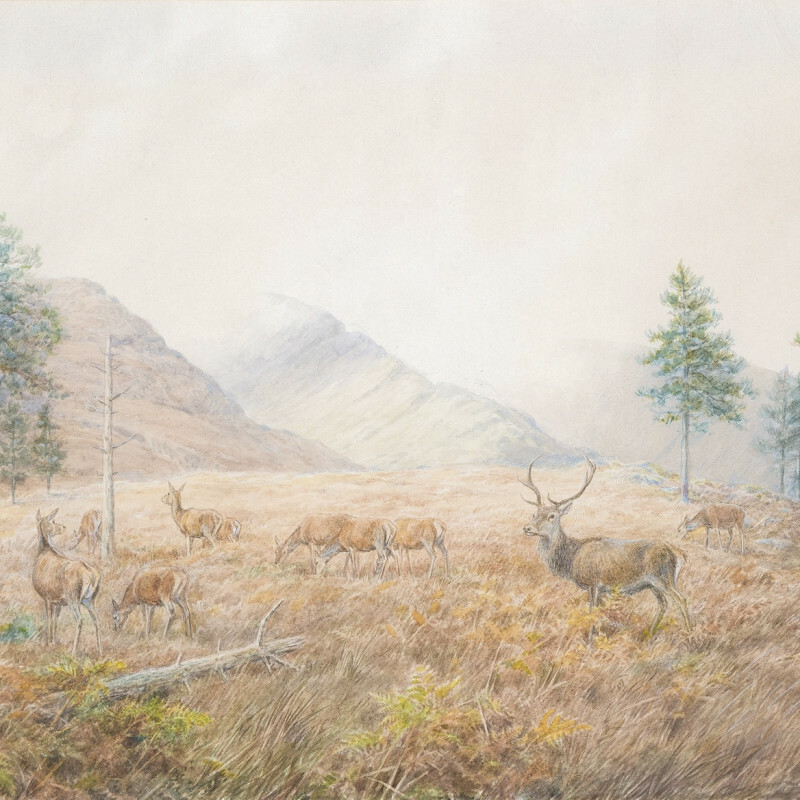 He was a keen deer stalker and excelled in producing highly evocative works that give a strong sense of weather and the natural environment. Balfour-Browne also worked as an illustrator, contributing to many sporting books. He was a friend of pupil of George Edward Lodge.